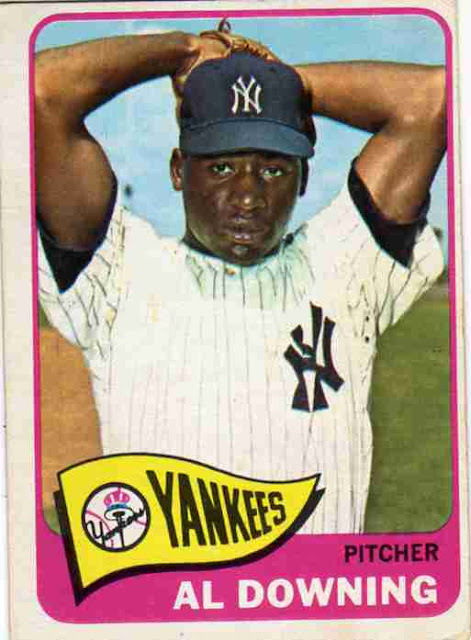 Here's the last of the '65s mainly because it's the last card in the set. Al is mostly known for giving up Hank Aaron's 715th home run today, but he was a pretty solid pitcher for the Yankees and Dodgers. 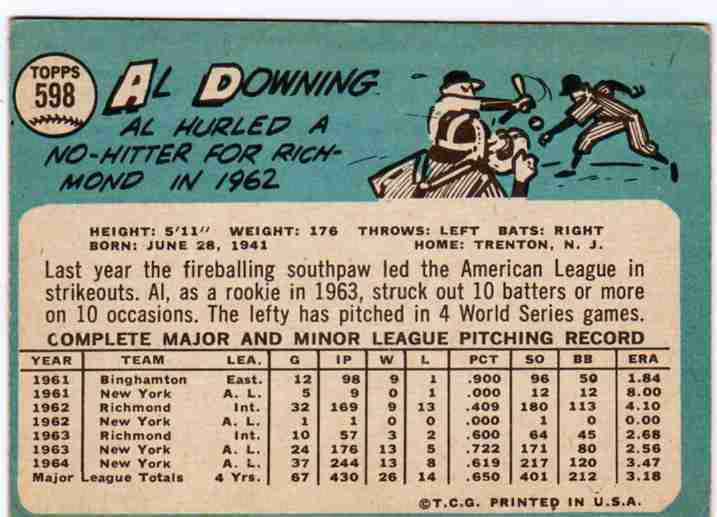 Check out the strikeout line on his '64 stats below, those 217 strikeouts led the league. 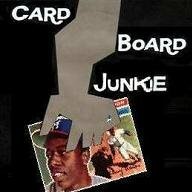 He would go on to be an All-star in 1967 and win 20 games for the Dodgers in 1971. But I'm still having a major mental block writing about baseball cards so here's Big Al Downing (no relation) playing Mr. Jones live in 2004. Aw yeah, this is real country right here. What have you seen today?